Patrick played the role of "John Steed" in the Avengers during the 1960's & again in the late 70's. I would like to think he'd appreciate our work after being voted "best dressed man" numerous times. 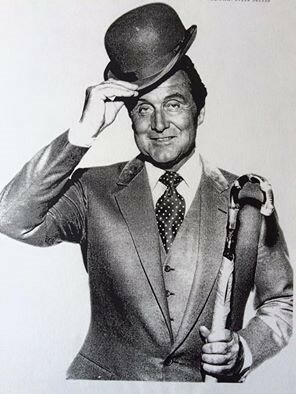 Born, Daniel Patrick Macnee on the 6th February 1922 in Paddington, London England. However professionally he was known as Patrick MacNee, dropping his first name. After the war, Macnee took a few small films parts, including a role in the 1951 classic A Christmas Carol. But he left England for Canada and later the United States after receiving a call from David Greene, a director friend at CBC in Toronto. Macnee returned to London in the 1960s when production began on The Avengers. This remains to be the most memorable role Macnee ever played and he will always be remembered as the Stylish and Iconic, Secret Agent “John Steed”.